I love the lane that Blitz the Ambassador carved for himself. He was born in Ghana but moved to the New York City at a young age and got exposed to hip-hop culture. Once he started pursuing a rap career, he didn’t quite fit in at first because myopic people didn’t think the Ghanaian influence on his music would work. Fast forward to 2014 where Blitz is rapidly achieving international critical acclaim but doing what feels natural as an artist. His latest is a self-directed music video for “Make You no Forget,” which features another favorite of mine, Seun Kuti (son of Fela Kuti). 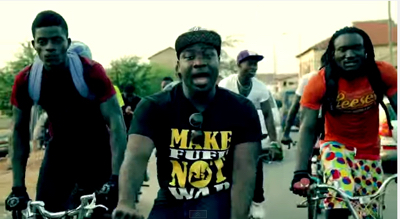 Kuti isn’t in the video but it’s still cool. It’s a simple flick where Blitz goes back home to Ghana and taps a few friends to ride around Jamestown. I got so excited watching the video because I was just there in August. You can read about my travels in Ghana here but not before you watch the video. Enjoy! Bonus snapshot of my gallivanting in Ghana, this is from my brief exploration of Jamestown in Accra. 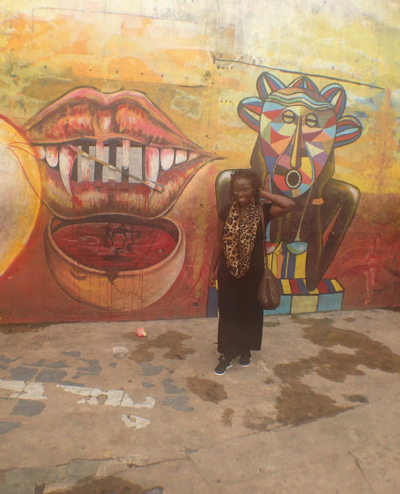 One of the things I enjoyed about Ghana, especially in Accra was the street art. The video and song are dope!